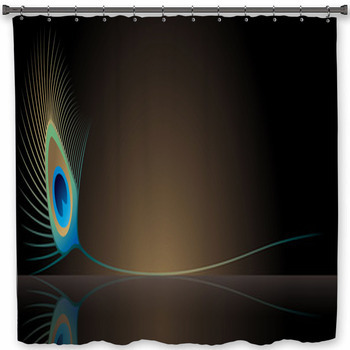 VisionBedding's peacock bath decor will show that you are not afraid to make a statement of style. These designs are contemporary and modern while also bringing the beauty of nature into the home. The result will be beautiful peacock bathroom decor that turns a plain bath area into one that anyone would enjoy spending time in. From peacocks photographed in cultivated gardens to peacock illustrations that bring to mind the designs of the far east, these styles will have you standing proudly at colorful attention. If these designs dont make you want to fly, then why not try designing your own? At VisionBedding, you can completely customize and personalize your bath decor for a look as dynamic as these amazing birds. Dim the luminance of a peacock illustration for a look that is clean and moody, or brighten the luminance of a photograph to make a peacock jump right from the show curtain. 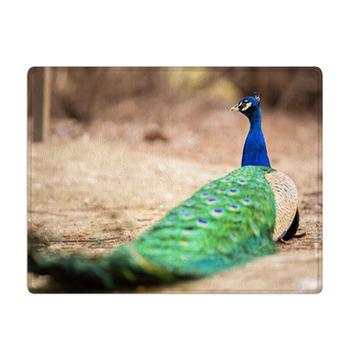 Be honest, you've got some pictures of peacocks laying around, so why not layer them over our backgrounds for that truly unique look? And customization doesn't end with design, because along with our standard sizes we offer custom size peacock-themed bath decor as well. 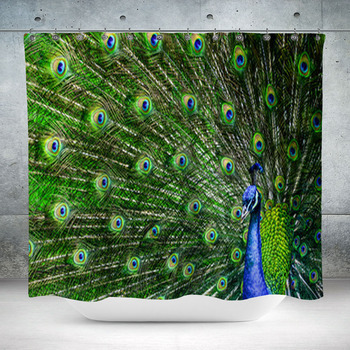 One gorgeous design of peacock shower curtains is simply a cream-colored curtain with a few large peacock feathers strewn across it. 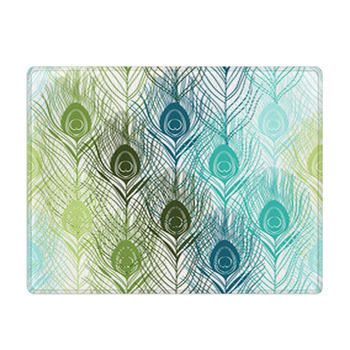 Their beautiful shape and rich green and blue hues make this for a great focal point for the bathroom. It is a design around which decorating is quite easy. 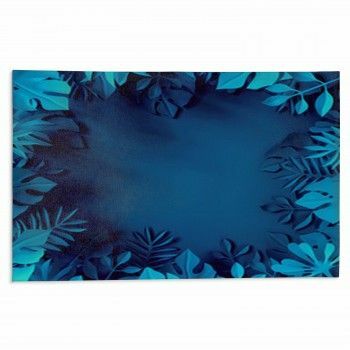 Furthermore, the colors make this piece a sophisticated addition to the home. 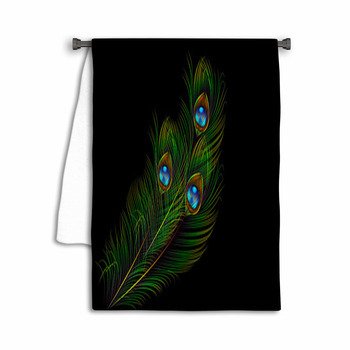 Try a towel that features a bunch of large feathers strewn across the entirety of the design, or perhaps a bath mat that leaves clean gaps between the feathers for a stark and timeless look. The peacock theme is a great design because it designates a color scheme for you around which to decorate the rest of the room. 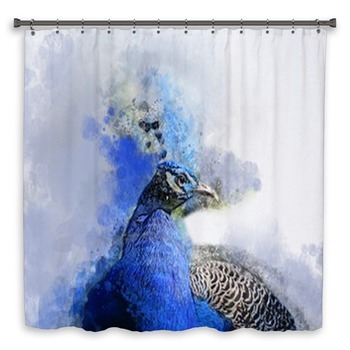 Peacock shower curtains are the perfect bohemian touch to the sophisticated and modern home. Keep the theme alive in any of your bathrooms, from the master bath to the guest bath, and let your style link the home together much as a peacock's tail feathers are linked in fan-like beauty. 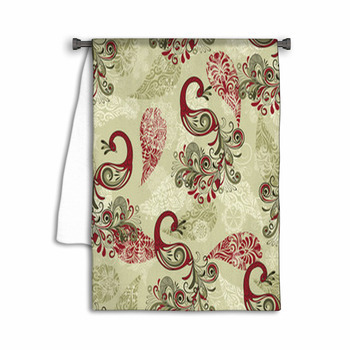 These peacock designs are perfect for the teenage girl in your home with an eye for decor. They surely find it important to be creative and chic when decorating their bathroom, and one way to be completely unique in decorating is to take a more bohemian approach. 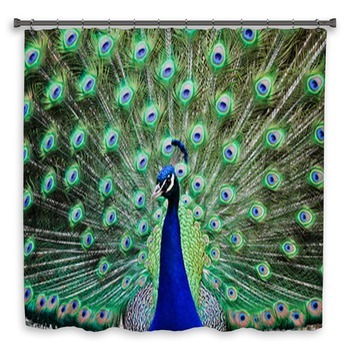 Peacock shower curtains are a great way to go about this style since that they look sophisticated, chic, and way cool. After all, the peacock is representative of uniqueness and individuality. 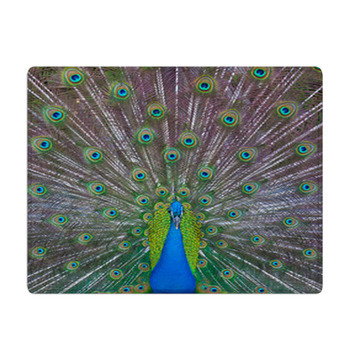 Address your own individuality with our peacock bath decor.